This is a really fun one, no? And I have some song lyrics for you today. The story of how I ended up with this actual baton when *I* did not go to music school is remember the apartment in the Fenway that Daron was subletting from a Berklee College of Music student? When I rented my apartment in the Fenway, the previous occupant was a Berklee student. I know because when I did a walk-through of the place I saw how many instruments he had crammed in there. It was a tiny studio but I knew my stuff would fit because he had about the same amount of stuff that I did, including the computer, Yamaha DX-7, bed, and microwave oven. After I moved in, one day I was dusting and I realized there was something on the lintel above the door. 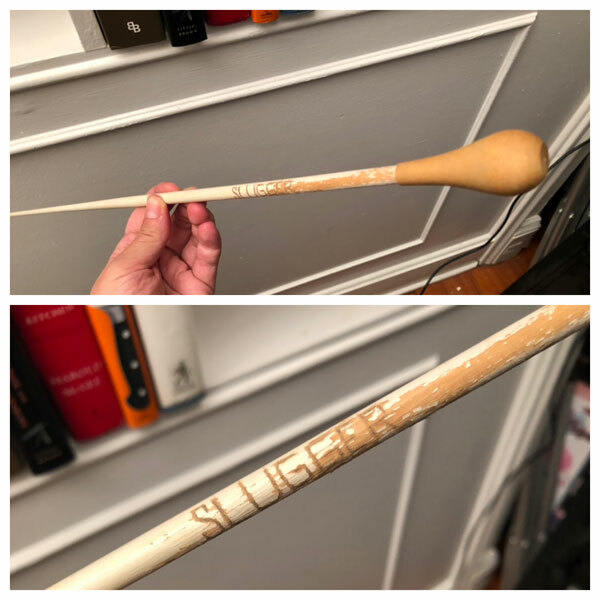 He’d left his conducting baton, on which the word SLUGGER was carved. I’m enjoying the dusty artifacts of Daron’s history. 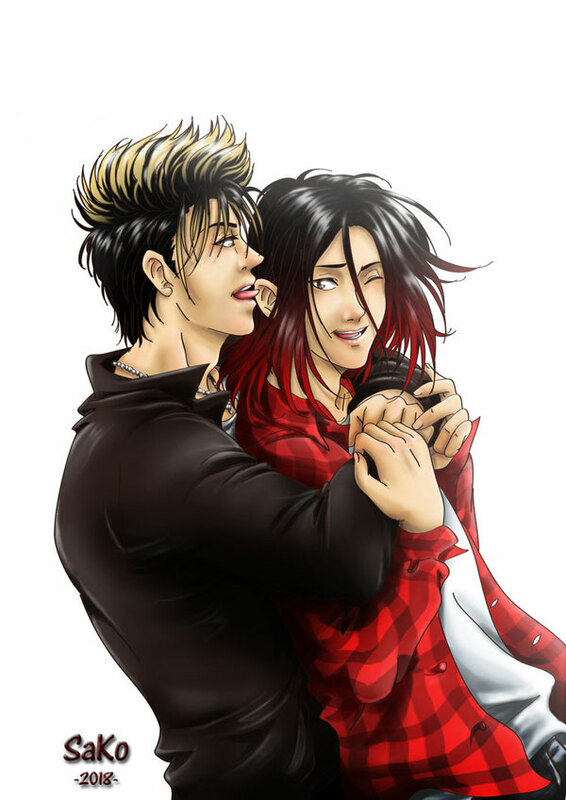 And the fanart is truly amazing. If I keep digging, somewhere I have paper notebooks that go back earlier than that, even. Into when I was in high school!